You surely were in a situation when you gather your family and try cooking delicious food and cutting salads to set the table in time. But your knives refuse to work quickly and you begin to get angry and waste your vitality. Do you need it? We know for sure that you do not need it since we were in the same situation. That is why the the Ocunaris brand team created this Knife Sharpener especially for you to efficiently and safely sharpen your old and dull knives in the shortest possible time. 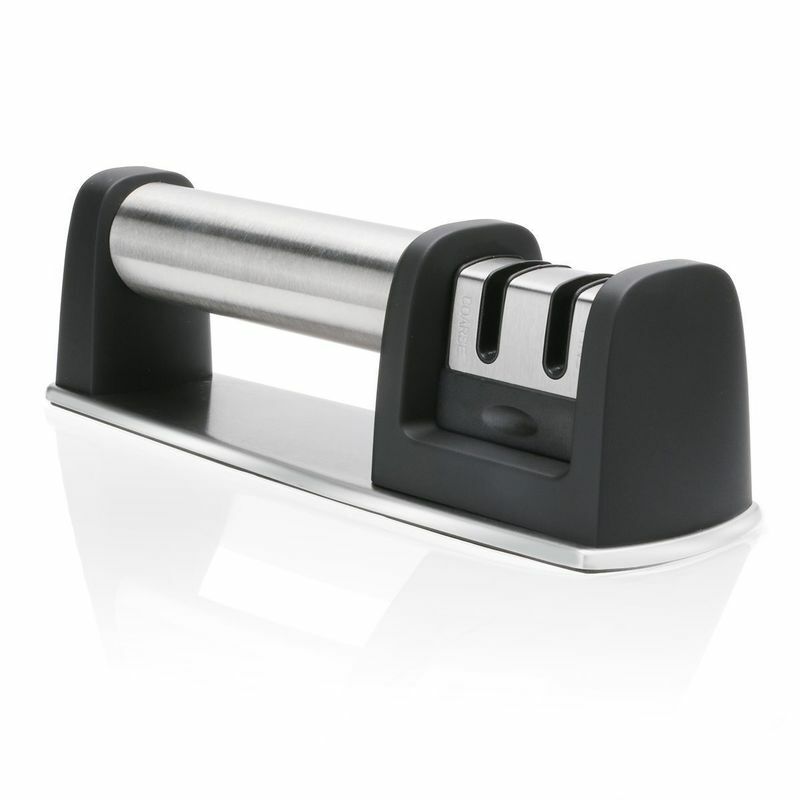 Why the Ocunaris knife sharpener is so popular among PROFESSIONAL AND HOME CHEFS? Well, we created two-stage sharpening system with coarse slot for bringing knives back to life and fine slot for honing and polishing your knives. This high quality product satisfies all necessary purpose. It doesn't matter how well you can use kitchen appliances. 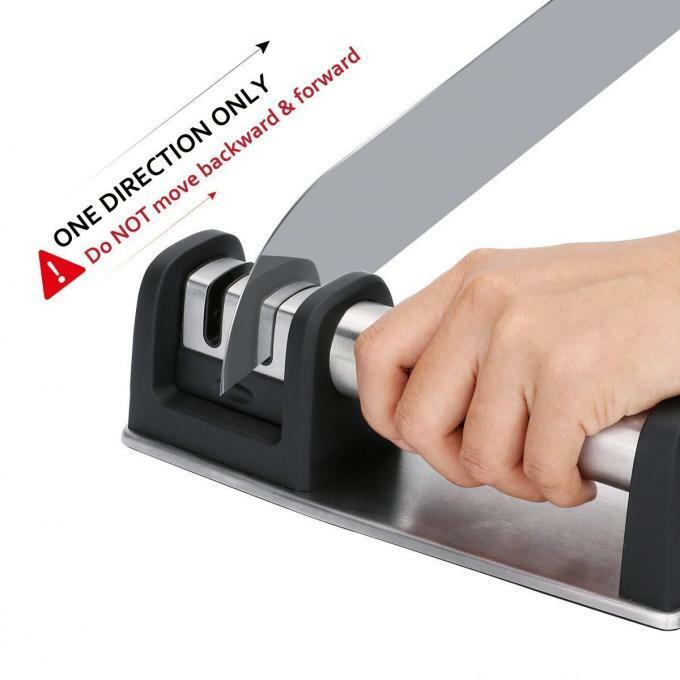 Our sharpener is easy to use. Just place the blade with the broad end near the knife handle into each slot and pull the knife gently towards you. Buying Ocunaris Knife Sharpener you simplify your life. It is so good that you won't decide to change it ever.